Akai Professional, a leader in the innovation of electronic music production and live performance for over 25 years, announces the AFX and AMX controllers for Serato DJ. 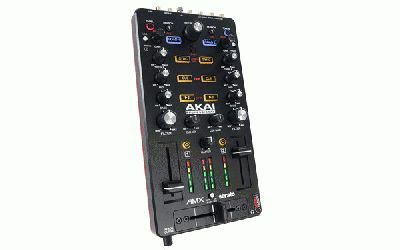 Over a USB connection, AFX and AMX each add extensive hands-on controls to a variety of DJ setups ranging from Serato NoiseMap™ Control Vinyl (DVS), minimalist controllers, HID-capable CD transports, and more. 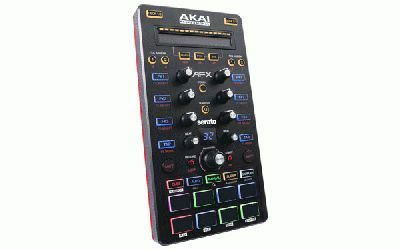 AFX, a controller for both modern electronic dance music artists and turntablists, features an intuitive array of knobs, pads and buttons for advanced track manipulation. Ten pad modes enable DJs to trigger samples, set and launch hot-cues, slice songs, and assemble loops on the fly from 8 velocity-sensitive, backlit pads. Touch-activated FX knobs provide sound sculpting prowess with a creative twist – a Touch mode allows the knobs to respond with a turn, a tap, or both. An endless controller with LED readout delivers needle-drop access to any point in the track for a hyper-efficient workflow. AFX is the first Official Serato Accessory to include exclusive controls for Serato’s newly minted Serato Flip Expansion Pack. Serato Flip allows users to record their Cue Point and Censor actions, which can be saved and looped, ready to re-trigger and start in an instant. Serato Flip lets users create and save up to 6 “Flips” per track, ready for playback in the studio or club. Voucher codes for the Serato Flip Expansion Pack and the popular Back Pack FX Expansion Pack are included with every AFX. 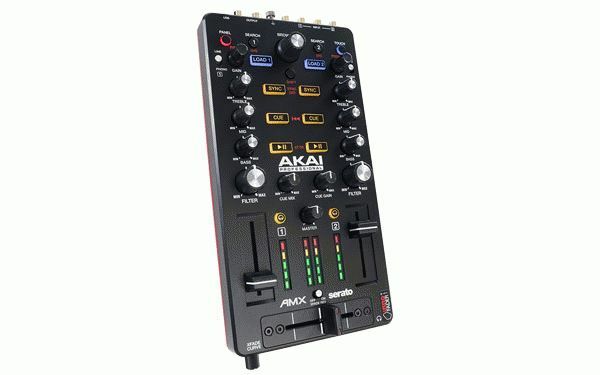 AMX is a plug and play mixing control surface with inputs for Serato NoiseMap™ control signals. AMX unlocks the full-version of Serato DJ, and features a 24-bit, 96 kHz audio interface for sending the mix to a speaker system with studio-grade quality. With gain, EQ, Filter knobs, two line faders, and a mini innoFADER™ crossfader, AMX is the ideal central hub for a Serato DJ setup utilizing turntables or CD controllers with Serato NoiseMap™ (DVS). Further, AMX is the first interface to take advantage of Serato’s newly announced DVS Expansion Pack. Each EQ and Filter knob is touch-activated for generating all-new sonic expressions. Transport and library navigation controls complete the mouse-less experience that combines the power and flexibility of Serato DJ with the hands-on hardware experience DJs demand. Both AFX and AMX will be on display at DJ Expo, Booth 416, August 12-14 in Atlantic City, New Jersey. AFX will be available this fall for $199.99 / £139.99 / € 179.99. AMX, also available this fall, will carry a price of $249.99 / £179.99 / € 229.99.